Below is the news story from the National Weather Service - Bismarck regarding the EF3 Tornado that struck LaMoure County on July 17, 2011. Photos and radar imagery are included at the end of this text. 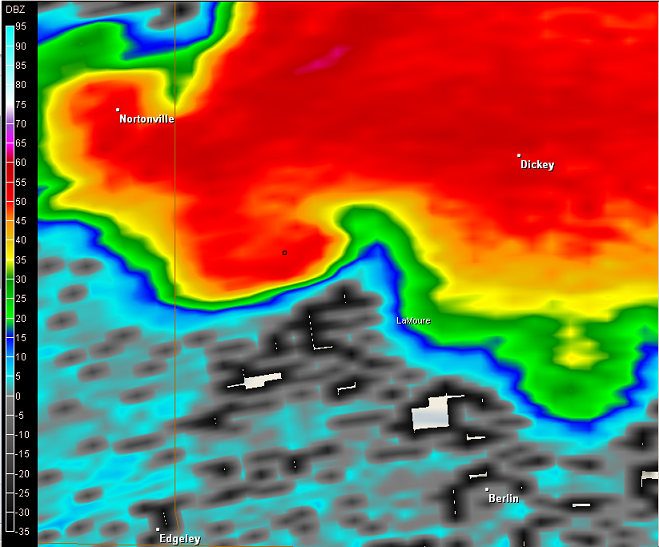 Radar Imagery of the Tornado. 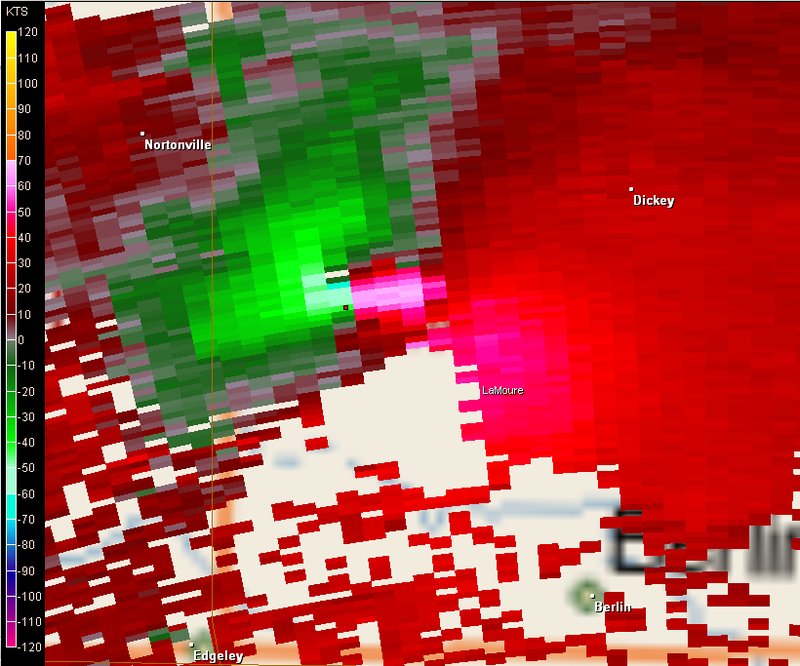 Reflectivity Imagery on the Left, Velocity Imagery on the Right. 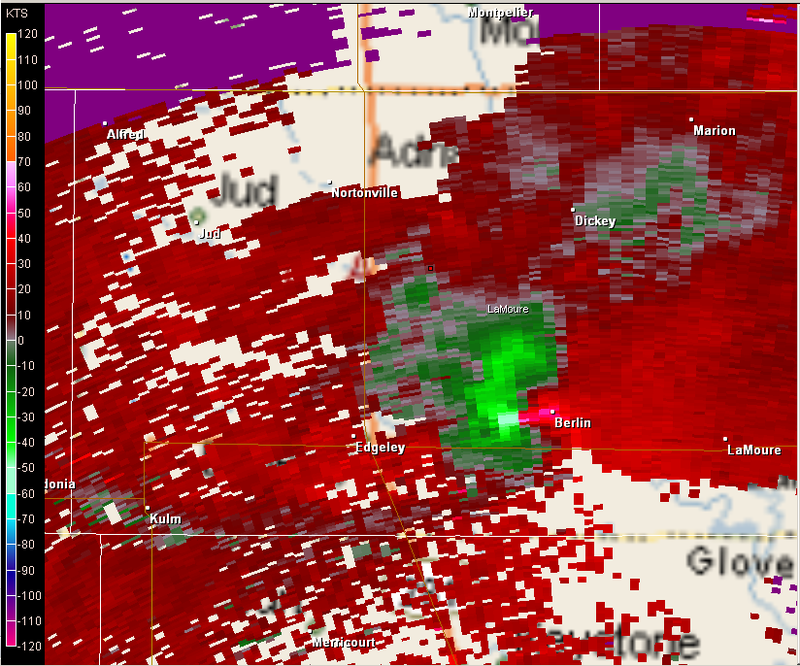 Classic 'hook' reflectivity signature, combined with strong gate-to-gate wind shear on the velocity data (indicative of very strong rotation and strongly suggesting a Tornado). 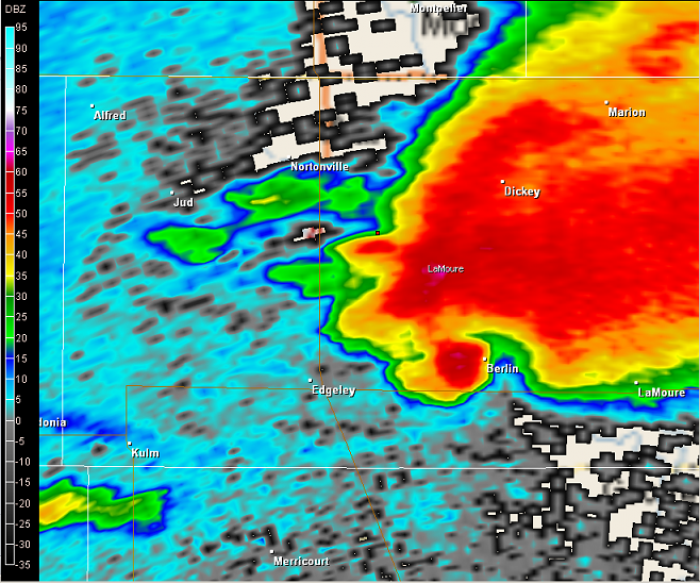 The first two images are near the time of the intial tornado touchdown. The tornado moved southeast. The last two images show where the tornado tracked just west of Berlin.